Restrictive covenants are used in several different business situations, including land use and other real estate situations. This article discusses restrictive covenants in business agreements with employees and business owners. Employment contracts and other types of business contracts often contain restrictive agreements, and there is much confusion about the differences between these agreements. They are sometimes called "restrictive covenants" because they involve a covenant (promise) not to do something or restricting someone from doing something. Sometimes, but not always, the agreement includes compensation for the party who agrees to refrain from the act. These restrictive covenants may be found in separate agreements or contracts or they may be part of a larger contract or agreement. These agreements are common in employment contracts and contracts with independent contractors. They may also be part of a business purchase. In this case, the selling business owner is restricted from competing with the previous business, from soliciting employees away from the previous business, or from disclosing confidential or proprietary information. There are three general types of restrictive agreements or covenants. For employment situations in which an employer wants to restrict an employee from leaving the company and setting up a competitor business next door. Most often non-competes restrict the employee from working in a similar business, within a defined time (one year, two years, or more), and within a defined radius from the original business. Non-compete agreements are difficult to enforce, and several states have said they are not enforceable because they restrain trade. Other states will enforce a non-compete if there is adequate consideration (money or other benefits) to balance the loss of income. In business sales agreements, in which the original owner agrees not to compete with the new owner over a specific time and area and in a similar business. In this situation, the seller receives specific compensation for the agreement not to compete. Non-Solicitation: A non-solicitation agreement restricts someone from soliciting employees or customers of a business. In a common case, an employee who leaves a company agrees not to solicit other employees to work for him or her. For example, Joe leaves XYZ Manufacturing and he wants to take Sally, his fantastic administrative assistant with him. If he had signed a non-solicitation agreement, he would not be allowed to take her along. 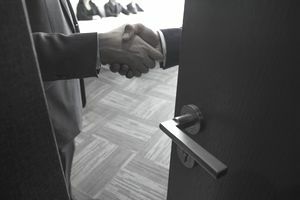 Non-solicitation agreements are common in professional practices, and in many cases, the professional who is leaving is also restrained from soliciting clients, customers, or patients of the practice. Nondisclosure (Confidentiality): A nondisclosure or confidentiality agreement is designed to keep someone from talking about or stealing proprietary information, trade secrets, inventions, or other information that has a competitive advantage to the owner. All three types of agreements have the purpose of trying to prevent someone from taking something from a business - customers, employees, business in general, proprietary products or trade secrets. The problem with all three is enforcement; once the damage has been done (the employee or trade secret has been stolen or competition has destroyed a business) it takes a lengthy and costly legal process to recover damages and put the genie back in the bottle, so to speak. In these cases, no one benefits but the lawyers. Some states, specifically California, have struck down non-compete agreements as unduly restricting competition. Check with your attorney and review the laws in your state before you include these restrictive covenants in your business agreements.